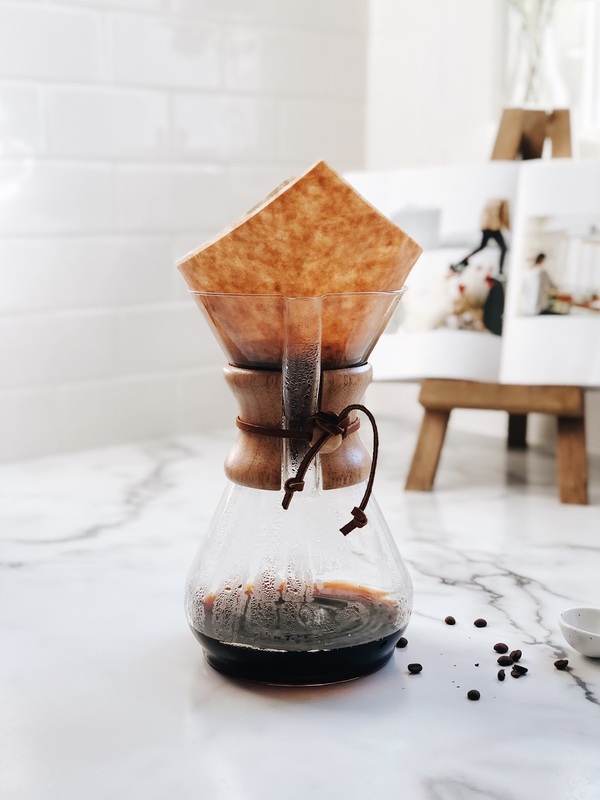 One of my goals for the new year is to use my Chemex more (see my blog post here). 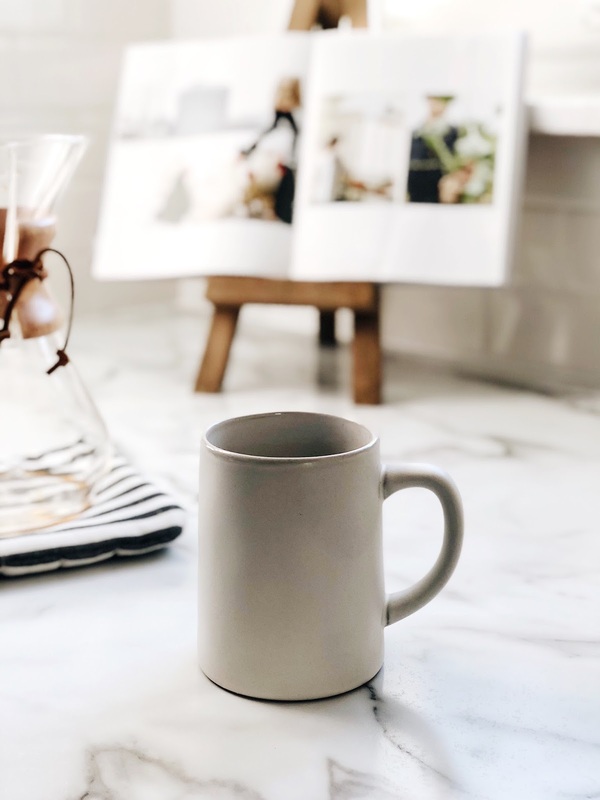 I loooooooove my Chemex, but since having kids I usually opt for the speed and convenience of my regular old coffee pot much more. 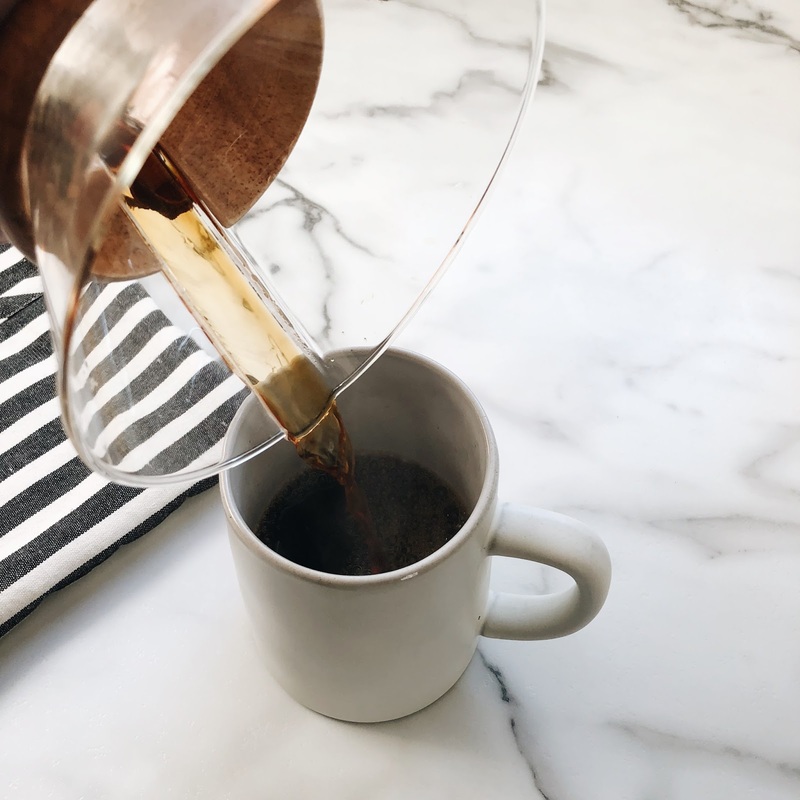 But the coffee is so rich and flavorful using the Chemex, you just can't beat it. 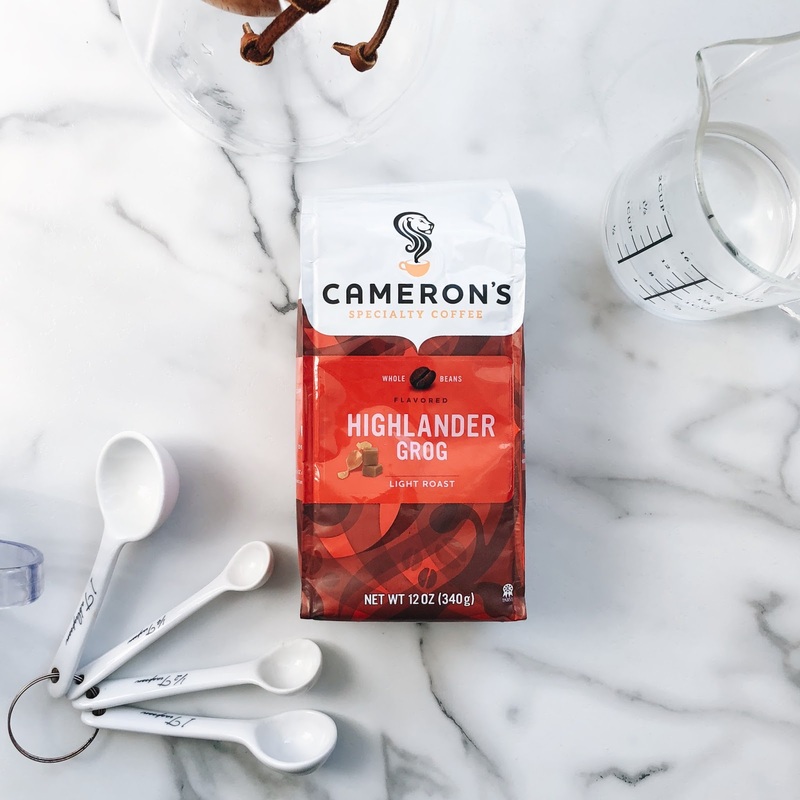 First you'll want to preheat your Chemex and get your filter ready. 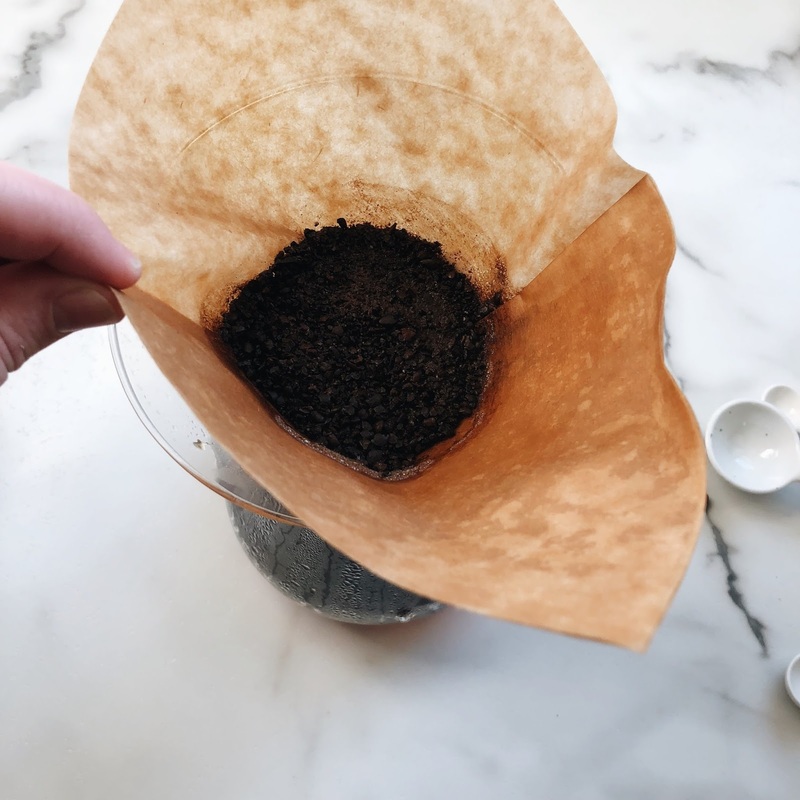 I use the Chemex filters, though I'm sure others are fine too. 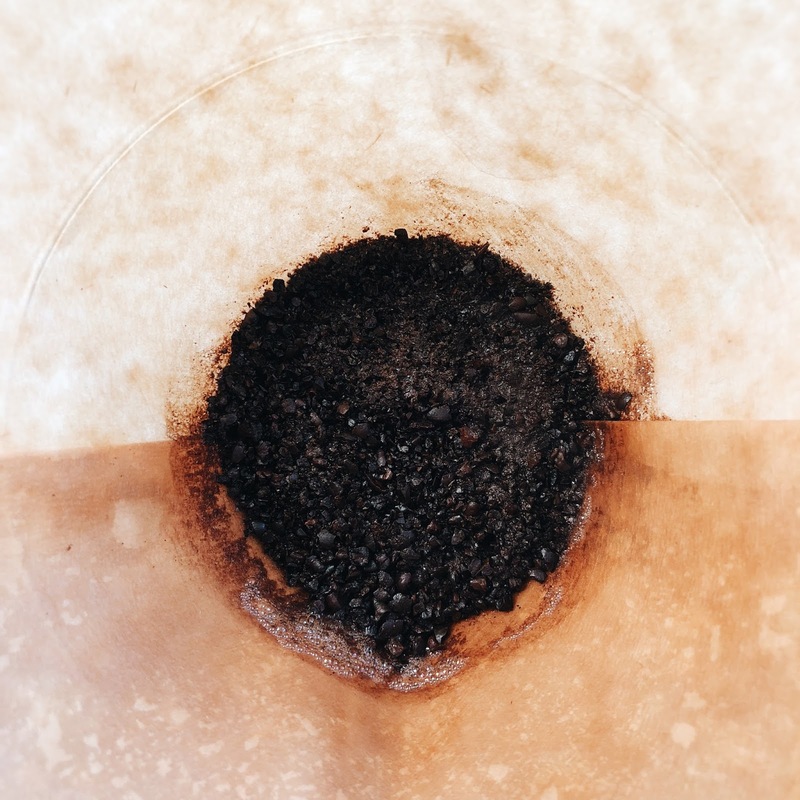 You'll want to unfold the filter so that the side with three layers is on the same side as the Chemex spout. 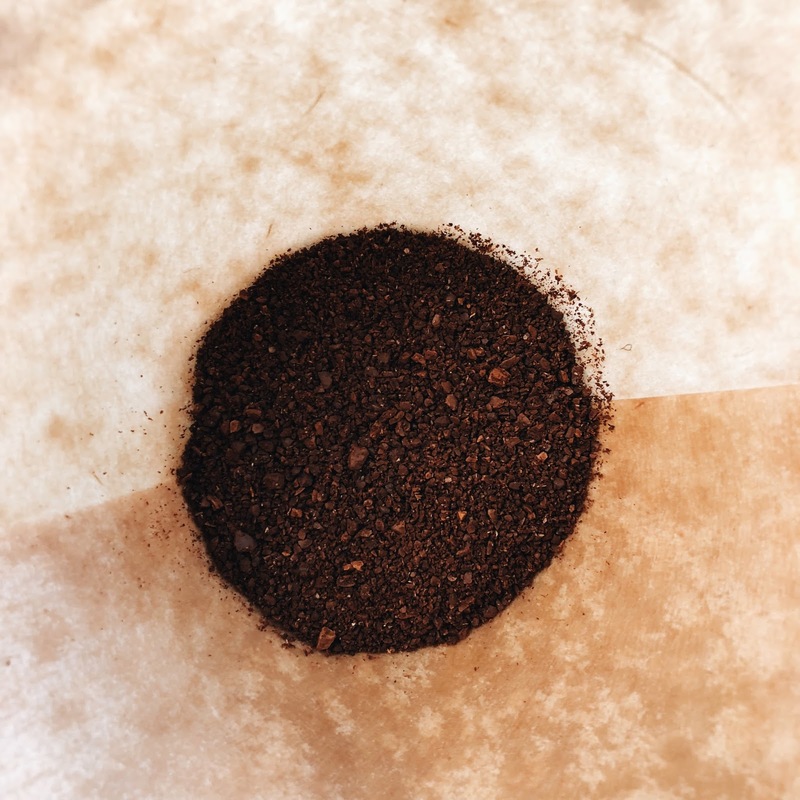 To create a seal with the filter and preheat the Chemex, pour some hot water through the filter into the Chemex. Now the water. 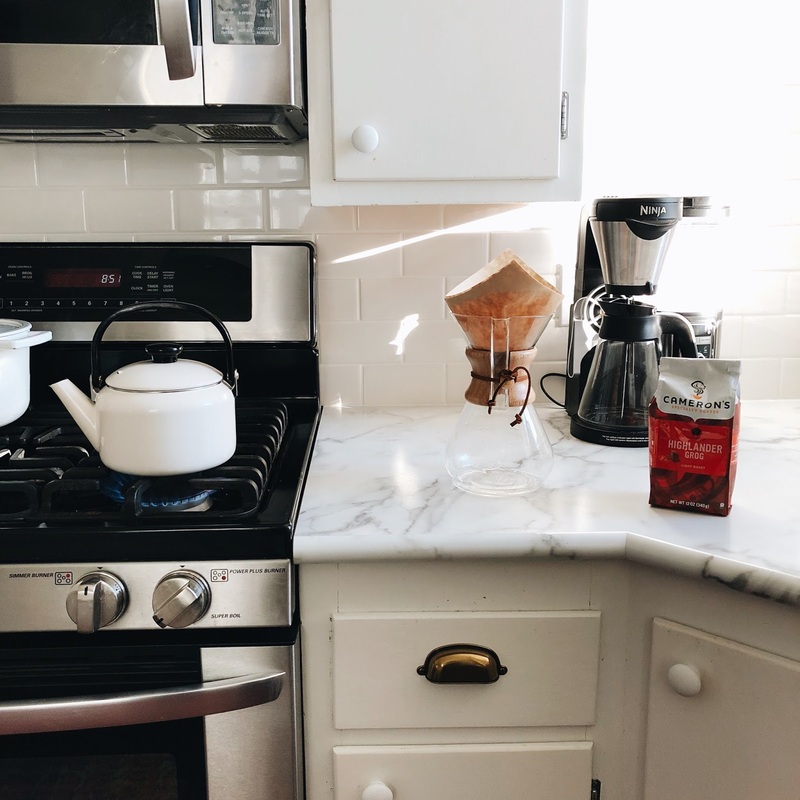 For 3 tablespoons of coffee, I pour two cups of water into my tea kettle and get it heating on the stove top. 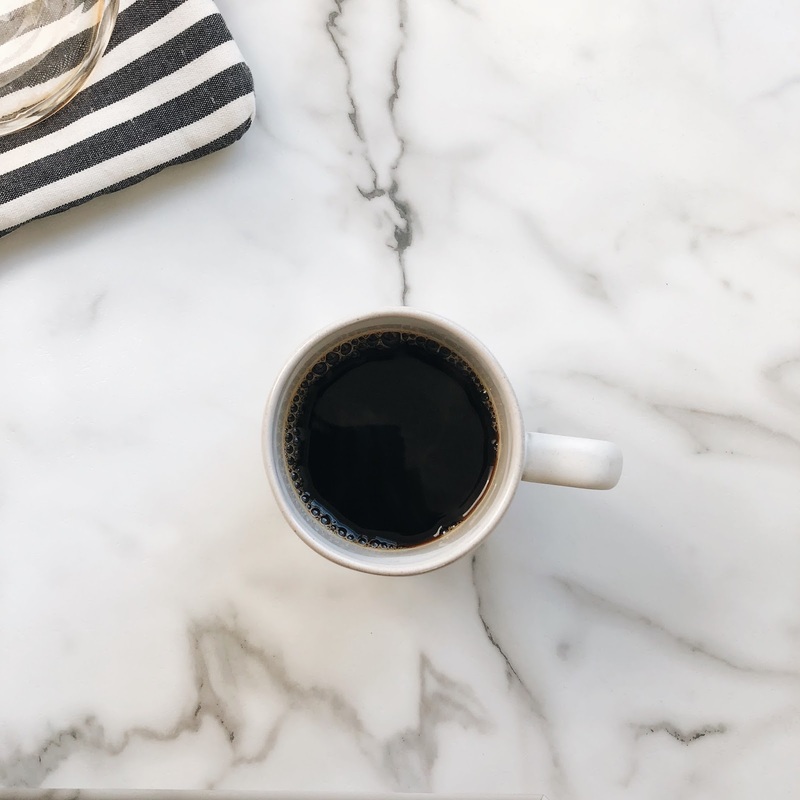 I like to stop my teakettle just before it starts whistling so that my coffee is plenty hot, but not scalding. Give it a little bit to work through and then you can add some more water. The key here is not to just pour all water in at once. Slowly saturate your grounds, let them work through and then pour a little more until all of your water is gone. The whole process doesn’t take more than a couple minutes. 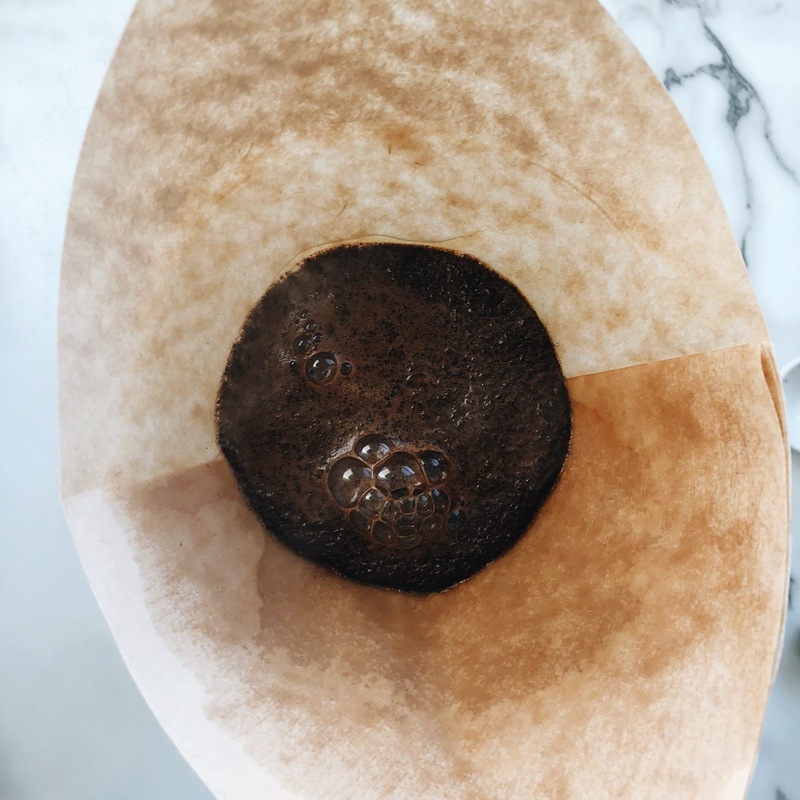 I like to slowly pour my water in a circular motion, making sure to “catch” the coffee that has worked its way slightly up the side of the filter, catching all of that goodness. It should look like this when the grounds are ready for more water. 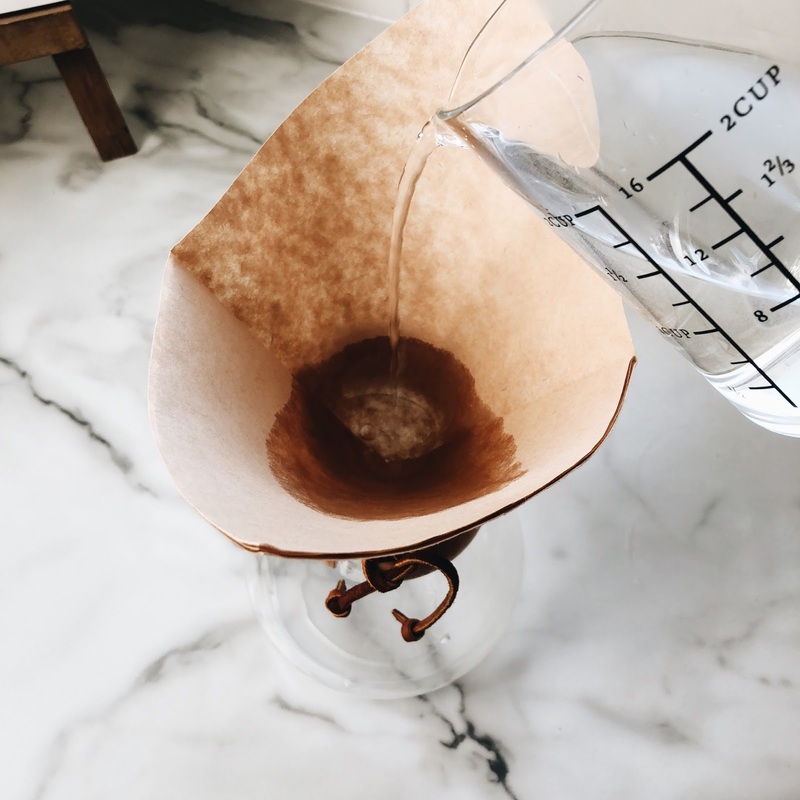 Once all of the coffee has drained from the filter into your Chemex, you’re ready to enjoy! I like to give my filter a little shake, loosing up any drops before tossing it. So, so good and truly very simple. 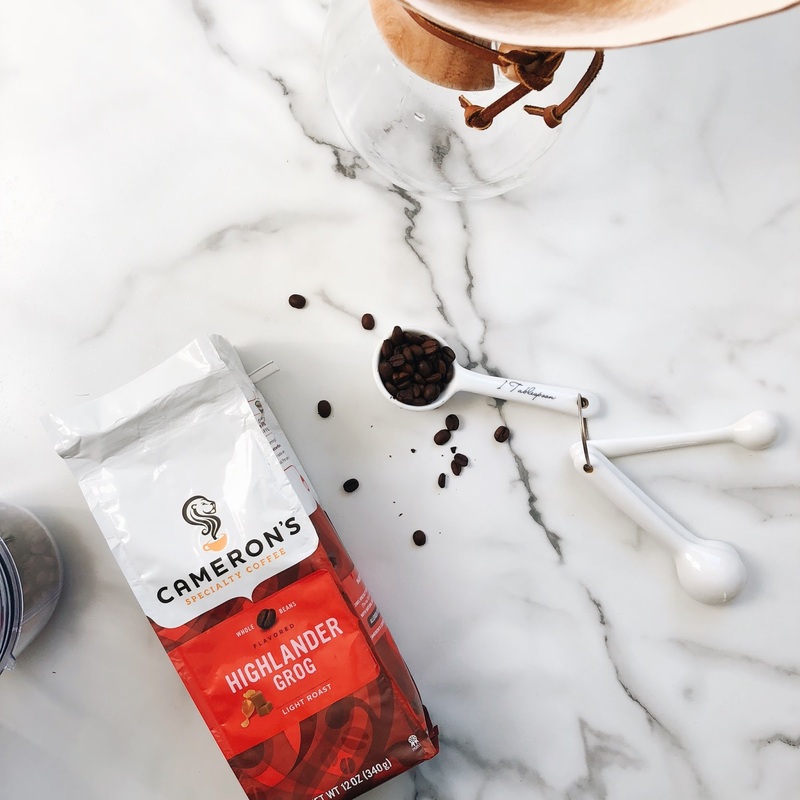 A little extra effort here goes a long way as this brewing method makes such a wonderful cup of coffee.